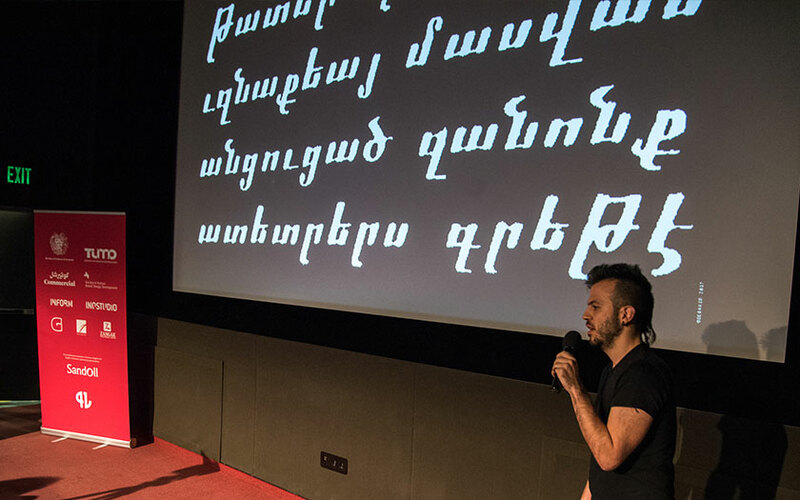 Khajak Apelian, designer and educator, is talking us through his process of researching and designing an Armenian typeface – one that would be distinctly Armenian, yet contemporary. 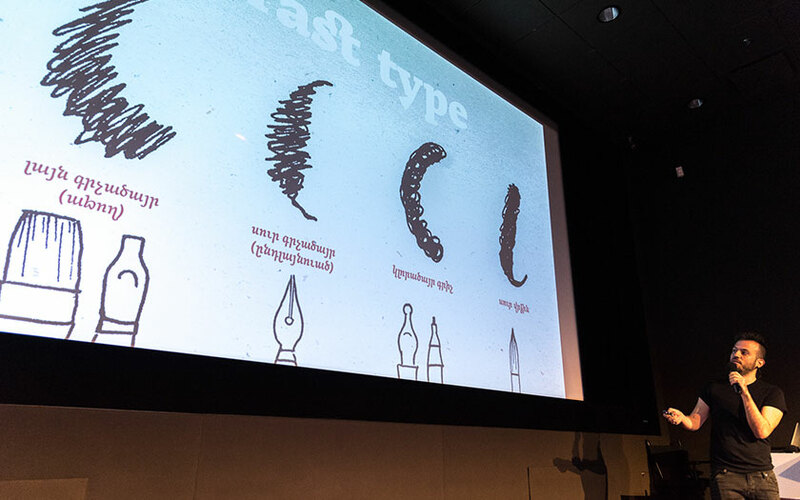 How it was essential to consider the construction of letters carefully, and sometimes make compromises between East and West. 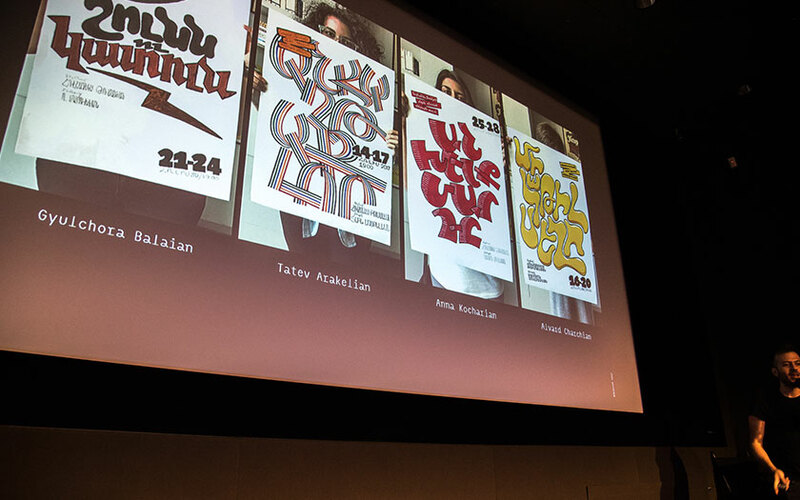 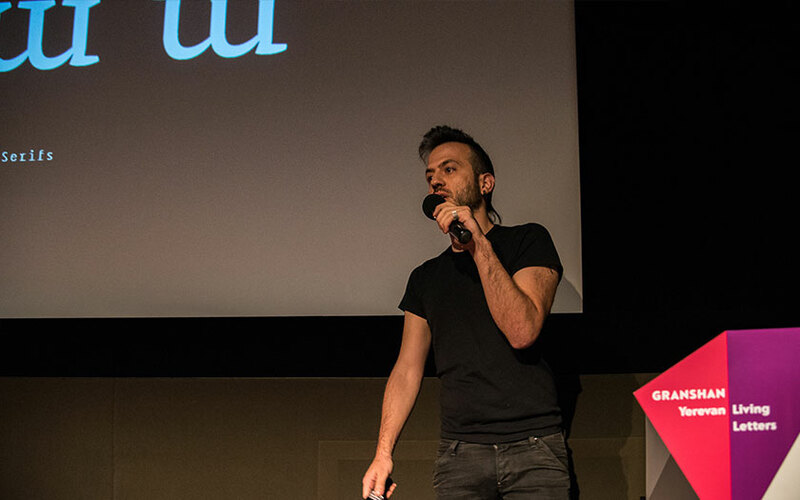 And he is talking about how he passed on his experiences to the students of TUMO during his Armenian type design and lettering workshops, impressing us with the inspiring outcomes of the workshops.